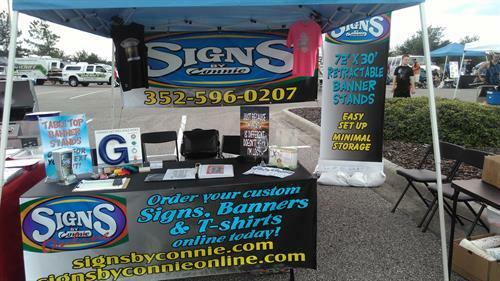 Signs by Connie is a local Spring Hill banner and sign business that was started in 1988. The business started small in a garage, but it quickly moved to a location on Commercial Way. Then it was moved to a free standing location in Weeki Wachee. In 2016, the business was moved to its current and more central location near the Four Corners intersection of Mariner Blvd. and Spring Hill Drive in Spring Hill. This move was made to better serve the needs of our customers. 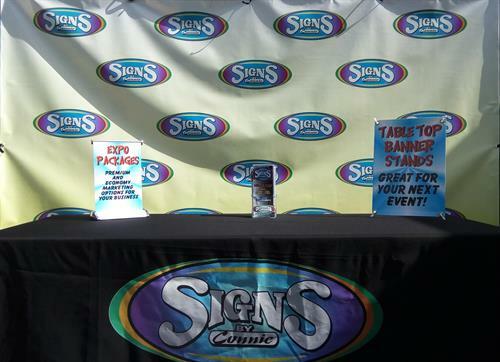 Signs by Connie is a banner and sign company that providing a variety products. We are full service and can assist you starting with designs/sketches, implementation of the design to a variety of materials or even installation on location. Our customers are involved in the process every step of the way to insure their satisfaction. We can design logos for business trucks, and trailer advertising, as well as create banners, magnetics, storefront signs and windows. Aluminum composite, wood (MDO), and corrugated plastic signs are some of the materials that we specialize in working with to create that special sign for you. If you have an idea for a project, we will work with you to make sure the job gets done right. Our services and capabilities are expanding all the time. 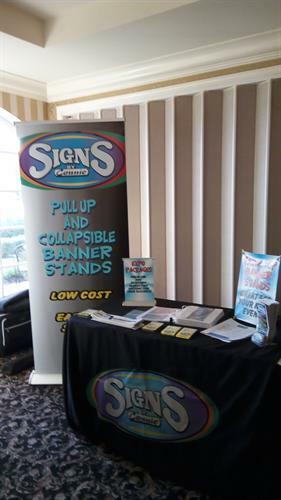 We produce all our products in house utilizing printers, cutter, heat presses and more, we are capable of full color high definition digital printing directly on to a wide variety of materials, allowing for a reduced turnaround time and higher quality products. We are located near the 4 Corners intersection of Spring Hill Dr. and Mariner Blvd. We are North of the intersection on the West side of the road.